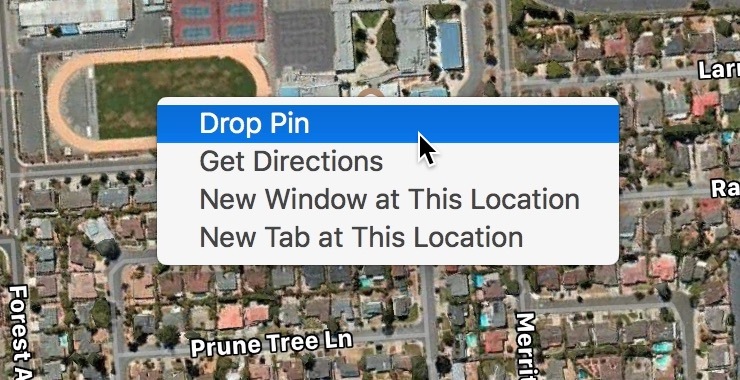 Today I wanted to do something that seemed simple: Add a pin to Apple’s Maps app on macOS High Sierra, then rename the pin. But after trying everything obvious, I was stumped, and took to both Twitter and web searching. About the same time I found the answer on the web, I also received a tweet from @tmneff with the same answer. When the info box appears, click the small circled ‘i’ at the right. In the new window that appears, click the heart (Favorite) icon, to make your new pin a favorite. Click in the search bar, then highlight the Favorites entry and click it. When the list of favorites appears, you’ll see an Edit box at the lower right corner; click that, and you can then click-and-edit any of the pin names as you would a filename in Finder. You can also delete favorites here by clicking the ‘x’ icon. Click Done, and your custom name should be saved with the dropped pin. Apparently in iOS, you’re prompted for a name when you tap the Favorite icon—that makes a lot sense, and macOS should follow the same convention. But it doesn’t, sigh.